AMSTERDAM, SEPTEMBER 6, 2018 — xG Technology, Inc. (“xG” or the “Company”) (Nasdaq: XGTI, XGTIW), whose brands are recognized as the global leaders in live video communications in the broadcast, law enforcement and defense markets, announces that IMT Vislink will be showcasing its collaboration with Panasonic at this year’s IBC show (IMT Vislink Stand 1.A69, Panasonic Stand 11.C45). IBC marks the first time this partnership, which pairs IMT Vislink’s external wireless HCAM transmitter system with the Panasonic studio camera range, will be on display. In addition, IMT Vislink is debuting its upgraded HCAM/ULRX platform. The latest combination of HCAM transmitter and ULRX receiver improves latency to around 1 frame on 4K UHD and other formats. With its recently announced software upgrade, Panasonic’s AK-UC4000 will include the capability for 4K output via one of the 12G-SDI outputs from the camera head. When combined with the updated IMT Vislink HCAM transmitter, the AK-UC3000, AK-HC5000 and AK-UC4000 will all allow full HD wireless video transmission, with 4K transmission using the UC4000. IMT Vislink’s HCAM represents the next generation of HEVC 4K UHD wireless transmitters, supporting applications such as ENG and sports broadcasts. The HCAM, which comes with highly flexible and configurable mounting options and intuitive video interfaces, can be mounted to broadcast cameras, ENG cameras and prosumer cameras broadening its market appeal. The HCAM features interchangeable, futureproof dual SFP modules supporting quad 3/6/12G SDI/HDMI/Fiber Optic/SMPTE 2022-6 HD-SDI over IP interfaces as well as Wi-Fi and Bluetooth® control via a dedicated Android and iOS application. IMT Vislink is currently shipping its external wireless solutions for the AK-UC3000 and AK-UC4000. This is based on the existing HCAM transceiver unit, which supports HD and UHD on a switchable basis. xG Technology’s IMT and Vislink brands are recognised as the global leaders in live video communications and are trusted suppliers to tier-1 customers in broadcast/sports/entertainment, and law enforcement/public safety/defence markets. Their products are recognised for high levels of performance, reliability, build quality, extended operating ranges and compact form factors. 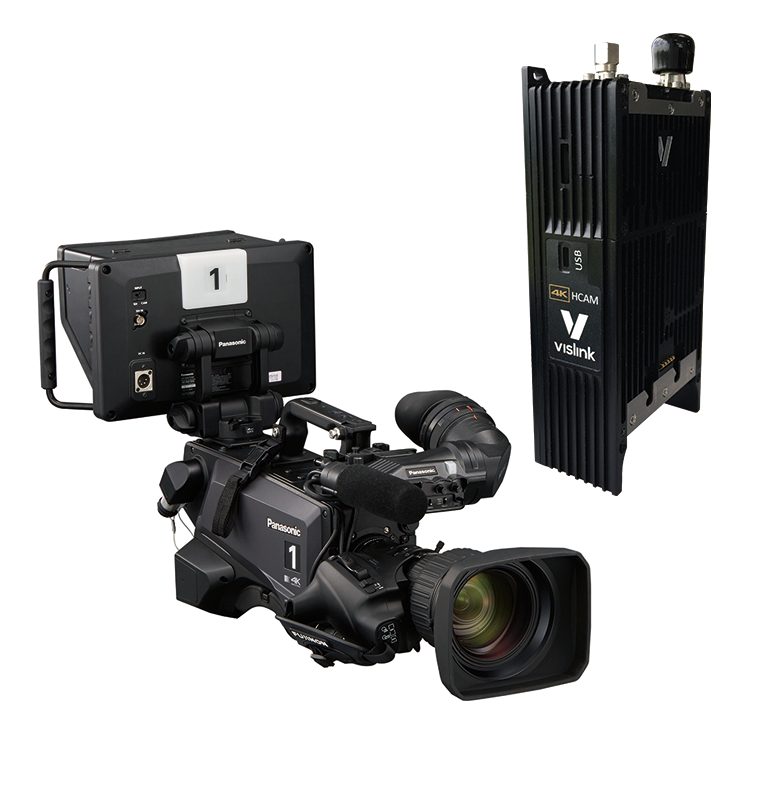 In the broadcast, sports and entertainment sectors, IMT and Vislink provide high-definition communication links to reliably capture, transmit and manage live event footage. In the law enforcement, public safety & defence markets, IMT and Vislink provide secure video communications and mission-critical solutions to local, national and international agencies and organisations. More information can be found at www.imt-solutions.com and www.vislink.com. Based in Sarasota, Florida, xG Technology has over 80 patents and pending patent applications. xG is a publicly traded company listed on the NASDAQ Capital Market (symbol: XGTI) For more information, please visit www.xgtechnology.com.